Shares of Walt Disney Co touched an all-time high on April 12; after Wall Street analysts said the aggressive pricing of its new video streaming service could help it better compete with Netflix Inc.
Netflix’s shares fell about four per cent after Disney priced its streaming service, Disney+, at USD 6.99 per month, below the video streaming pioneer’s basic plan of USD 8.99. “Investors find a lot of promise in Disney’s offerings because it’s well positioned to fight the likes of Netflix for consumers’ money,” said Clement Thibault, an analyst at global financial markets platform Investing.com. Shares of Disney jumped 10 per cent to USD 128.26, adding USD 21 billion to the company’s market capitalisation of USD 209 billion. 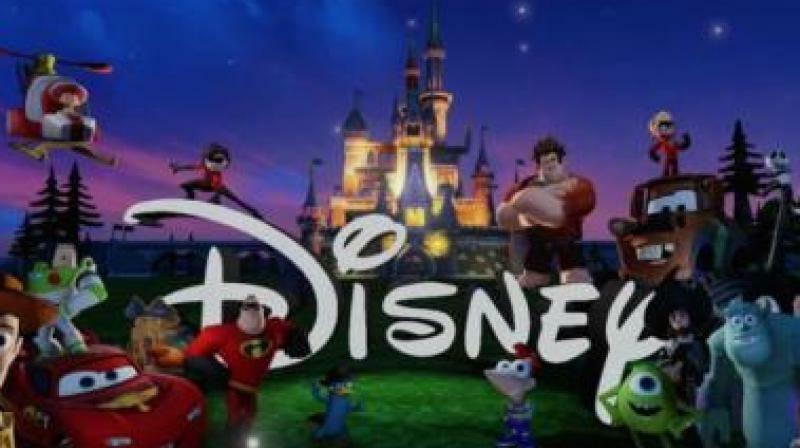 J.P. Morgan analysts also noted that Disney+’s interface appears similar to that of Netflix with personalisation of user profiles, recommended content, search capabilities and parental controls. Disney+ will launch on November 12, in the United States, featuring content from a host of Disney brands including Marvel, Star Wars and Pixar as well as recently acquired Fox properties such as “The Simpsons” and National Geographic programming. Disney said it expects to attract between 60 million and 90 million subscribers and achieve profitability in the fiscal year 2024. It plans to plough a little over USD 1 billion in cash to finance original programming in fiscal 2020 and about USD 2 billion by 2024.